One of the key reasons technology implementations, digital transformation efforts, IT projects, customer service or experience optimization plans and digital business projects fail is the lack of attention for the essential human component. It’s a phenomenon we see in virtually all areas of business. Examples include marketing automation and CRM projects, social collaboration initiatives and business process optimization efforts. In an age where digital technologies are used in pervasive ways whereby they connect different divisions, stakeholders, goals, processes and information resources, the human aspect becomes even more important in a context of ubiquitous optimization. Take a fully integrated unified communications and collaboration project, for instance. In order to reach a specific maturity level, it requires collaboration between the departments and people that are responsible for telephony, the network and the workplace. In many companies these divisions are still disconnected, as are their processes, technologies and priorities. Or take the example of a customer experience optimization project whereby a close collaboration is required between IT, customer service, marketing, sales, etc. in order to gain a single customer view and offer consistent customer experiences, enabled by digital technologies. Another example is the use of information management strategies, aiming at speeding up business processes, saving costs, empowering workers and optimizing customer experiences. With the need for the right information/data at the right time and the right moment being a key differentiator in digital business across virtually all business functions, it’s clear such projects need to connect and involve many people as well. Furthermore, there is never a one size fits all solution. On top of existing legacy infrastructures, specific business contexts and individual challenges, businesses also are organized in different ways and the skills and “culture” of employees and staff can vary significantly. The thing is that, as literally everything gets connected and integrated, collaboration and engagement/education and even buy-in of involved people and teams become a de facto success factor. We see more and more digital business projects that affect virtually the whole organization and often are about digital (business) transformation. Let’s also not forget that more IT and technology buying decisions are increasingly made without involvement of the IT department, for instance by marketing, and that even workers themselves often decide. This is where shadow IT and consumerization come in. However, to succeed it’s more important than ever in a digital-intensive reality, that everyone is involved that needs to be involved. This is not only true for the sometimes disconnected departments in current projects and roadmaps for the future, it is also true for the people without him no digital project whatsoever will succeed: those that are affected by it in practice, your workers. But even in less mature and connected or ‘ad hoc’ digital projects, the human dimension is often overlooked. The fascination for the technology as such and the belief it can improve business as a miracle solution coming out of a box you can just buy, waiting for the magic to happen. The increasing digitalization of business and digitization of business processes has shown that nothing works if the human element is overlooked. This is the case on multiple levels. 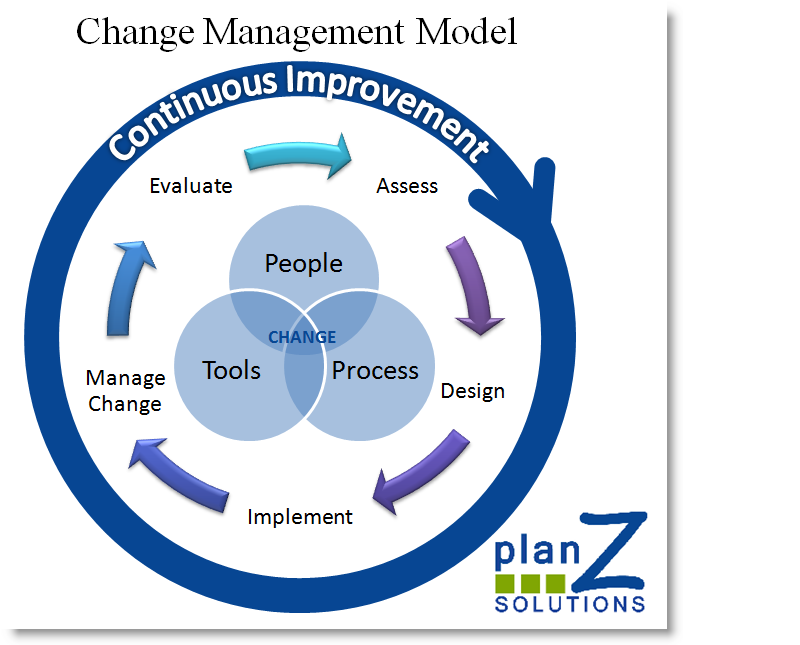 A first level is change management. I mention it first because it is an old challenge that becomes ever more urgent. The digitization of processes, deployments of digital solutions, strategic-cultural shifts, moving to a more customer-centric and integrated approach etc. all have a transformational impact, just as is the case for many business projects in general. However, the transformations are not dictated by the technology. They are defined by the goals we want to achieve and the ways in which we are organized to achieve them. In marketing, sales and service, for instance, it’s a well-known fact that many automation and CRM implementations, in order to improve efficiency and customer service/experiences, fail because there is no customer-oriented culture or mentality. Or because there is no tradition of optimization or measurement. Another example: social collaboration. Such projects often fail because most attention goes to the possibilities of collaboration and always being connected and there is a lack of collaboration behavior or, very often the case, collaboration capacity. We cannot be connected the whole time and the adoption of collaboration should not lead to collaboration fatigue. People need to learn how to collaborate, be more customer-oriented, manage their time, learn new skills and change amidst a changing digital world. However, digital technologies in the enterprise should also be adapted to them. Because change is not a walk in the park, not for business and not for the majority of people. Change management is not new but it’s not enough seen as an inherent part of digital projects and not used enough in several divisions, depending on the organization, that are involved in technology projects. It’s strategy and governance. Last but not least, in these times where many digital business and digitization projects have a transformational nature (so, changing the ways we do business etc. ), it’s simply common sense. The sooner stakeholders from various divisions and customers in the broadest sense (from internal users and managers to partners and actual buyers) get involved in a digitalization project, the more likely a project will succeed, at least when the involvement is genuine and user requirements, as well as opinions, are really heard and when necessary acted upon. The days that IT said “here is what we do and this is how you do it” are over. Buy-in doesn’t only come from the top, it also comes from all other involved levels. Simply put: it isn’t going to work if the workforce doesn’t want it to, even if the protest is silent and sabotaging. Furthermore, without involving stakeholders across the project, it’s virtually impossible to gauge potential failure or success. There is still a difference between a plan and the reality of real-life usage once it’s executed. So, take potential changes into account from the start as well. User adoption might not be the ultimate parameter of a successful project but it certainly plays a key role (more about that below). Part of any change management exercise and of involvement is empowerment: training, making sure people see the benefits, buy in to them and are trained and incentivized in a proper way. Incentive-based approaches are just one part of engagement and don’t need to be based on rewards. Sometimes, the sheer fact of being able to do our jobs better and in a way that makes lives easier is a reward as such. Digitization is by no means dehumanization. Well on the contrary. Without a strong involvement and without taking the human element into account on all levels, digital projects are doomed to fail. In an interview, Ovum’s Richard Edwards once said the rate of change of pretty much everything in modern day life seems to be increasing. However, we, the human beings in this equation, are the governing factor, he added. If the rate of change is too great, then the “slope” it creates becomes too steep and we can’t follow the path. Organizations must therefore pay more consideration to the human factors associated with technological change. Richard said he often asks the question: When was the last time your employer provided you with any formal IT or systems training ? Most people can’t remember when! Relative to the technology around us, IT literacy is falling, Richard continues, and therefore organizations are not fully exploiting, or capitalizing upon, their IT investments. So, he concluded, organizations should better educate and develop the workforce and retool them so they are ready for the new world of work. And it’s not just about workers. Two key human success factors for IT, digital transformation and customer experience optimization projects are 1) adoption (“it’s so cool, effective, valuable and tailored to what I need that I want to use it instead of having to use it”) and 2) personal value/experiences (and that can mean many things, up to you to make sure you map them and involve who needs to be involved).